The olive grove was established in 2006, following successful trial plantings on the property as early as 1998. Since then the grove has been expanded to 350 trees. Varieties include Olivastro, Leccino, Koroneiki, J5 and Manzanilo. The first commercial pressing was in 2016. 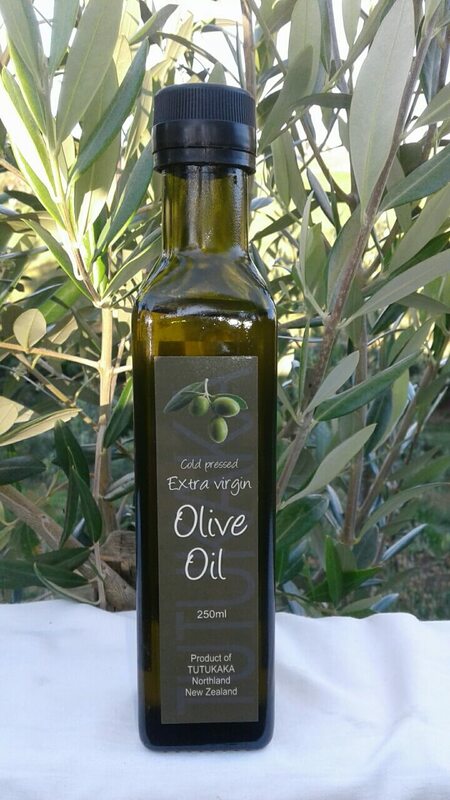 Our oil is cold pressed for premium flavour and quality from olives grown in the unique coastal environment of Rocky Bay on the Tutukaka Coast. By blending the oil we have produced a premium product with a unique buttery and subtle peppery taste especially suited for use as a dip with freshly baked bread, or drizzling over green salads or your favourite foods. Cnr Ngunguru & Maruata Rd, Glenbervie. Freight cost $10 per order. – Orders of 5 or more, freight free.